The principal aim of this thesis is to discover the origin, formulation and effect of what is known as a “strategic behaviour”. A very well-known type of strategic behaviour is the persuasive behaviour, the purpose of which is to produce changes in the ideas, behaviour or feelings of a person. The corpus chosen for analysis has been one made up of five parliamentary sessions which preceded and followed the 1988 Education Reform Act. This acts represents the most important governmental initiative in the education service of England and Wales since 1944. 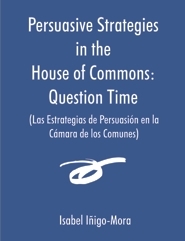 Of all the activities which take place at Parliament, the most lively undoubtedly is Question Time and, for this reason the corpus comprises all the questions and supplementaries posed by MPs, in addition to all the answers provided by the ministers. Although most methods of analysis follow social or cognitive perspectives, this study has devised a new method of analysis which takes into account both cognitive and social factors. For this reason, this thesis starts with a revision of the main social (Goffman, Gumperz, Lakoff, Borwn & Levinson, Leech and Fraser) and cognitive (Austin, Searle, Grice, and Sperber and Wilson) models and proposes a new model of analysis, which is related to Jary’s (1998) model. However, instead of just trying to discover politeness strategies, this new model tries to identify all forms of strategic behaviour.